Meet the folks who peer into your belly buttons, scrape your foreheads in pursuit of mites, and wrangle your arthropods. All in the name of science. 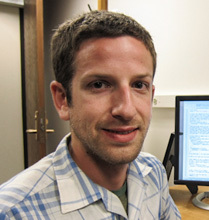 Noah Fierer is a microbial ecologist and natural historian of cooties at the University of Colorado at Boulder. His lab group has pioneered the study of microbial diversity in soil, the atmosphere, and every day environments, including the public bathroom, the computer keyboard, the college student, and YOUR HOME. 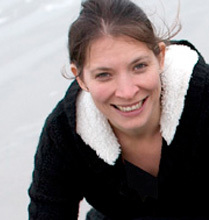 Michelle is an entomologist and evolutionary biologist working at the California Academy of Sciences in San Francisco. Her work focuses on one of the most maligned, yet fantastically diverse groups of life: the flies. Julie Horvath-Roth is a biologist and genome scientist at the Nature Research Center interested in understanding the evolutionary forces that have shaped primate genomes (including lemurs!) and that cause human disease. She recently began a fragrant new project in collaboration with the Dunn Lab to investigate the microbes that live in human and primate armpits! 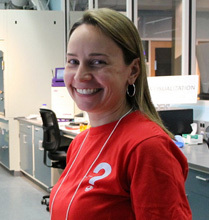 Julie Urban is an evolutionary biologist who studies bugs within bugs (microbes that live inside planthoppers) at the NC Museum of Natural Sciences’ Nature Research Center. She’s fascinated by the microbes in unexplored places, which now includes primates’ armpits. 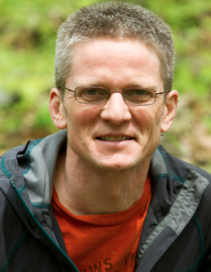 Roland Kays is the Director of the Biodiversity and Earth Observation Lab at the NC Museum of Natural Sciences and a Research Associate Professor at North Carolina State University. 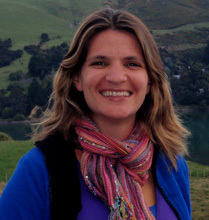 His specialty is using new technologies to study free-ranging animals, especially to track their movement with telemetry, GPS, and remote camera traps. .
Andrea Lucky is an evolutionary biologist, entomologist, and leader of the School of Ants citizen science project. She recently joined the Department of Entomology & Nematology at the University of Florida, where School of Ants will establish a new ‘colony’ in addition to its well-established ‘colony’ at NC State. 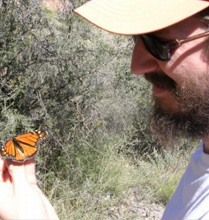 Steve is an entomologist at NC State studying the ecology and management of arthropod pests. Recently, his lab group has ventured into urban ecosystems, studying the consequences of heat islands and climate change on interactions between tree pests, their plant hosts and natural enemies. Matt Bertone is an entomologist with a life-long passion for all things creepy and strange. He has been especially interested in insects, arachnids and reptiles, but becomes enthralled in a new group of organisms just about every day. Matt enjoys graphic design, photography, music, and video games… when he’s not poking around the dusty, dark corners of your house in search of arthropods. 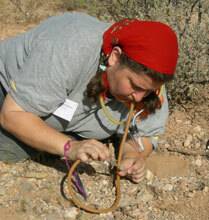 Amy Savage is an ecologist who’s jazzed about ants and their beneficial relationships with other insects and plants. Her research on ant mutualisms has taken her to Samoa, New Zealand, Australia, Costa Rica, Panama, Washington State (USA), and most recently, to New York City (USA) with the School of Ants project. Elsa is an entomologist, ecologist and writer who is fascinated by the many transactions between insects and plants–from seed dispersal to herbivory. 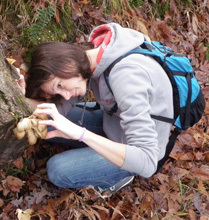 Recently returned to entomology after working as a magazine editor and science writer, she is delving into the ecology of the invertebrates that live on and around your urban shade trees. She also likes to climb rocks, ride motorcycles, and run. 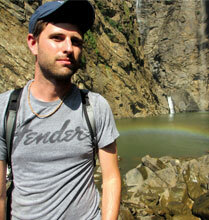 Clint Penick is a biologist with interests in development and evolution. For his past work he traveled to India to study “How ants got their queen,” and now he’ll be working in New York City to study what ants eat and how ants respond to changing temperatures. 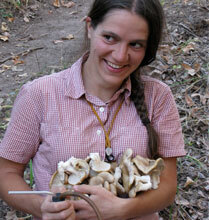 Mary Jane is an ecologist and entomologist interested in community ecology and species interactions. She’s excited to be working on the ecology of beetle communities in our homes, as well as the role of beetles as vectors of microbial diversity in indoor environments. When not looking for beetles, she also enjoys playing fiddle and banjo, mushroom hunting, and exploring all things related to natural history! De Anna Beasley wants to understand how insects adapt to human-caused changes in the environment, from nuclear radiation to timber harvest to urbanization. When she’s not studying the insects that live with us, De Anna can be found writing, practicing Tai Chi and dreaming of being a hang glider pilot. 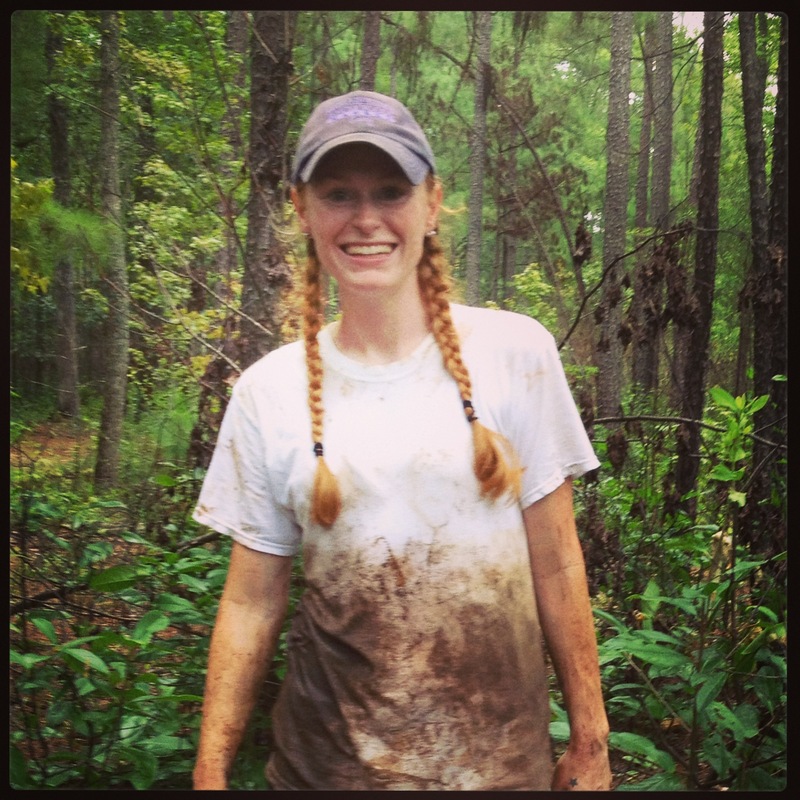 Lauren is a research assistant and lab manager for the Dunn Lab at NC State. When she’s not in the field studying how climate change affects Eastern deciduous forests, you can find Lauren peering into a microscope identifying the myriads of ants submitted by School of Ants participants. 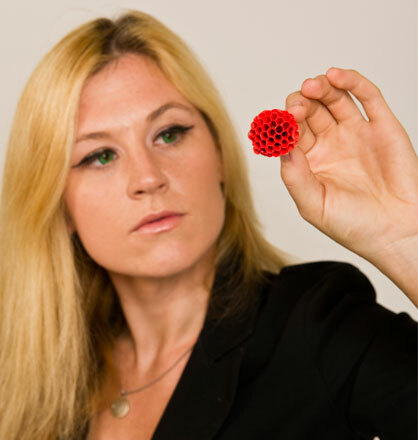 Emily is Ph.D. student at N.C. State fascinated by the hidden ways in which insects, microbes, plants, and humans interact with one another, especially in cities. 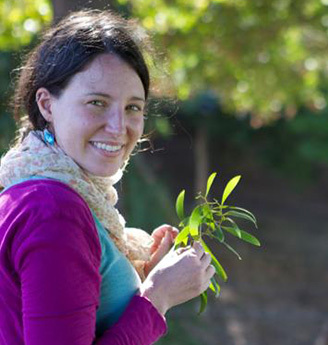 She studies how scale insects affect street trees and, therefore, us. 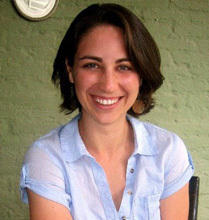 Megan Thoemmes is a graduate student at NC State. She is excited about a range of biological topics, including the ecology and evolution of human and other mammal-associated Demodex mites, as well as understanding broad scale relationships of mammals and their associated species. She can often be found working with citizen science participants or scraping faces for Demodex mites, all the while trying to squeeze in as much time as possible in the field. 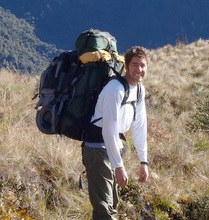 Jon is a microbe lover and data enthusiast at the University of Colorado at Boulder. 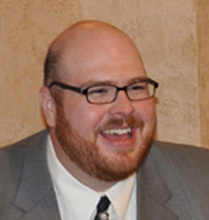 He enjoys exploring the microbial world of diverse environments such as soil, plants, food, and houses with molecular and bioinformatic techniques. 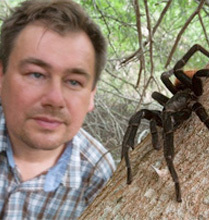 Piotr Naskrecki is an entomologist, evolutionary biologist, explorer, photographer and author, based at the Museum of Comparative Zoology, Harvard University. He’s traveled the world to study and photograph invertebrates, especially katydids and species of conservation concern. In addition to numerous tropical discoveries, Piotr recently discovered that Japanese camel crickets were occupying Rob’s basement. 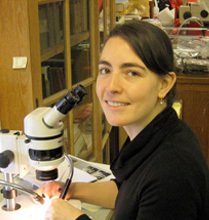 Cristina Castracani is a researcher fascinated by animal behaviour. She met ants during her PhD and she was captured by the complexity of their society. Only one species for men and more than 12.000 species for these tiny insects. Which is the key of their success? How they reach the highest levels of social complexity and how they maintain it? The school of ants project will help answering these questions and many more. Cristina is now working to coordinate all the Italian volunteers that are curious to better understand these little insects that share the world with us. 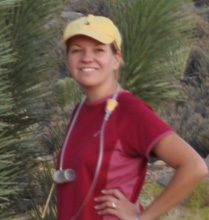 Anne is a microbiologist, ecologist, and overall microbial explorer who studies the microbes associated with arthropods. 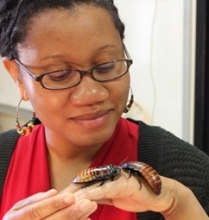 In her joint research position at North Carolina State University and the University of Colorado at Boulder, she is investigating how arthropods—from cobweb spiders to carpet beetles—contribute to the microbial jungle within our homes.